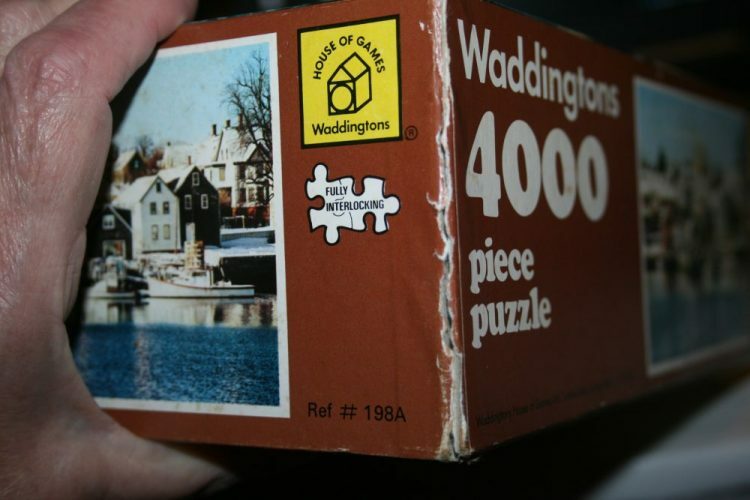 Waddingtons manufactured this puzzle in 1979. The title is Portsmouth, New Hampshire, USA. 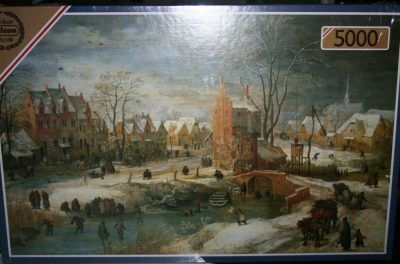 The picture shows the harbour in winter. 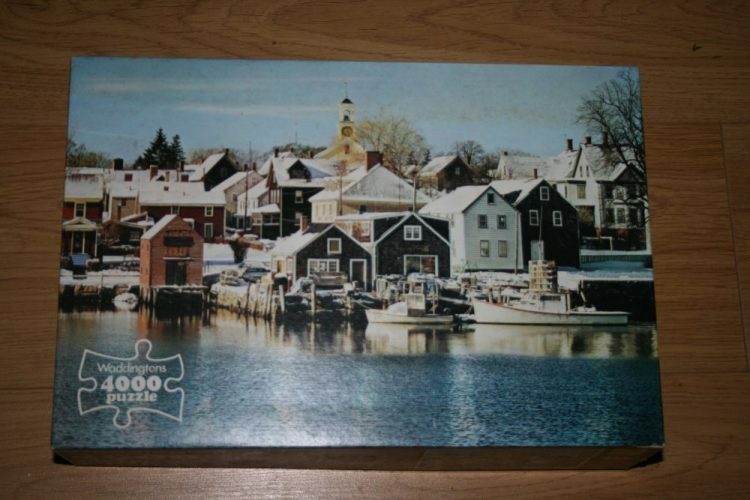 Great photograph showcasing New Hampshire architecture. This puzzle is like NEW with all the pieces SEALED inside the original plastic bag. The box is in very good condition, with minor wear to corners and a tear in one of the corners of the lid. 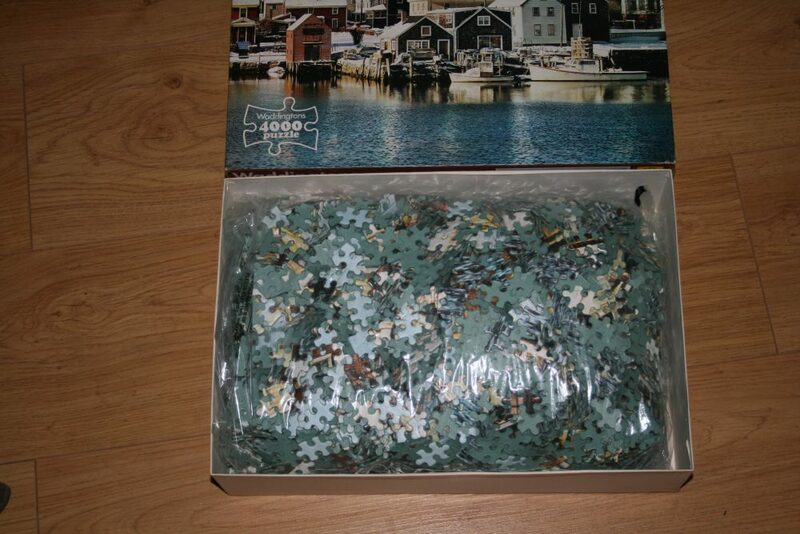 Puzzle Size: 57 x 38″, 144 x 97 cm. 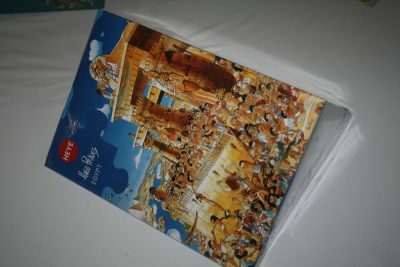 Box size: 38.5 x 26 x 9 cm.